A new international airport opened today in Kannur, a city in the northern part of India's Kerala state. 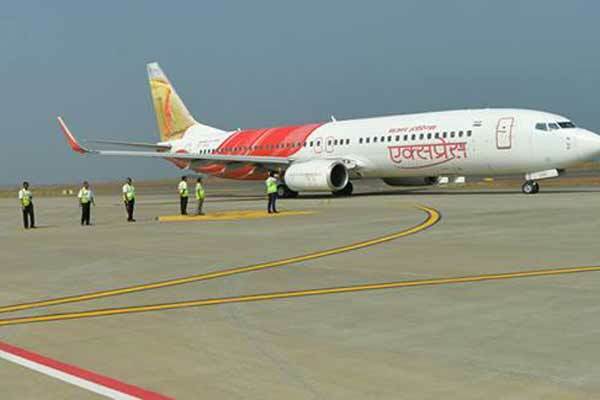 The Kannur International Airport (KIAL), the fourth in Kerala, commenced operations with an Air India Express flight taking off to Abu Dhabi. Two flights operated by GoAir are also scheduled to leave for Bengaluru and Thiruvananthapuram later in the day, said an Indian Express report. The new airport is expected to serve the people of Kannur and Kasaragod districts of the state. India's Minister for Civil Aviation Suresh Prabhu joined Kerala's Chief Minister Pinarayi Vijayan at the inaugural function. "The fourth international airport in Kerala is a milestone for the state and moment of pride for the country. As a greenfield airport built on a PPP model, this is inline with our strategy for the sector," said Prabhu. India, being one of the fastest growing aviation markets in the world, the government is working on measures to bolster the infrastructure," he said. "North Kerala's long-cherished dream becomes a reality today. The state-of-the-art airport will not only provide more connectivity to passengers in North Kerala, but also pave the way for the overall development and prosperity of the state," said Vijayan. The airport is spread across 2,300 acres and has a runway length of 3050 metres, which will be extended to 4000 m.
"With the inauguration of Kannur airport, Kerala is setting new standards in connectivity. Among Indian states, Kerala now has the highest density of international airports. All district headquarters are now within three hours of drive from an international airport. Almost all towns in the state are within four hours of drive from an international airport," Vijayan said in a Facebook post.